Earn $1.87 in Rewards credit (187 points) What's This? More coverage for better muck protection. There are days when even the wettest conditions won't keep you off the trails, and the Bender Fender XL is for those days. Increasing the coverage of the standard version, the XL keeps even more mud, dirt, and general muck from collecting on your face and vulnerable bike parts. 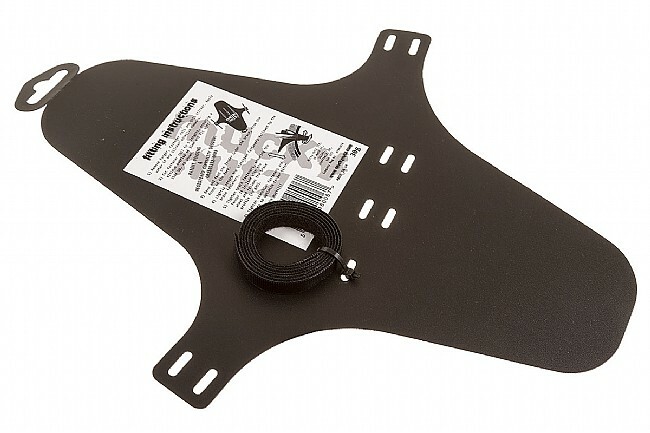 Easily mounted on suspension forks, regardless of wheel size, this fender protects the fork stanchions and bridge from collecting dirt and reducing the need for cleaning and servicing. 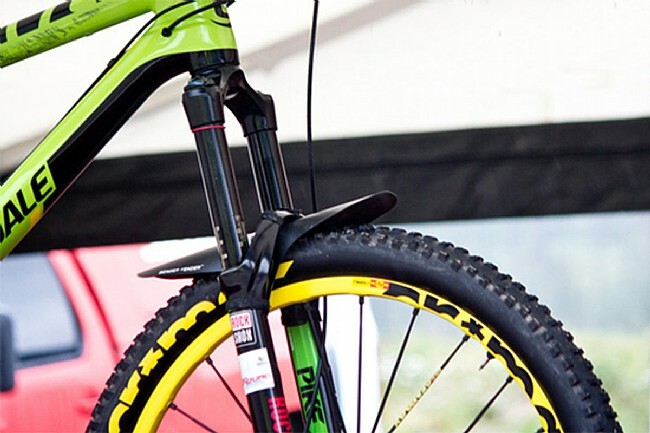 Compatible with many full suspension systems, it can also work as a guard for the rear shock, further preventing dirt build-up. Easily installed with included hood and loop fastener, the Bender Fender XL is simple to clean up, lightweight, and low profile. 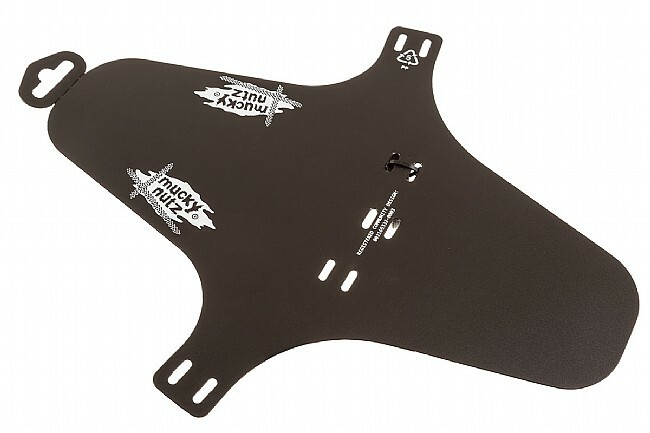 The Mucky Nutz Bender Fender XL comes in Black. 30 grams.